​Every year on Christmas Day, we in Pakistan remember Quaid-e-Azam Mahomed Ali Jinnah, who is said to have been born on that day in 1876. There are remembrances and tributes; a change of guard; TV shows dedicated to the memory of the man who is credited with (and in some circles blamed for) the creation of Pakistan. Was the creation of Pakistan right or wrong is a debate that has raged on for 7 decades now. However what is never debated or discussed is whether or not, given the state that we are today, would Mr. Jinnah even want to be remembered as the founder of Pakistan? That Mr. Jinnah would have been disappointed with many things in Pakistan today is old hat, but let us take this a step forward: would he have regretted making Pakistan if he could see what we have done in this country? As an amateur biographer and admirer of the man that he was, regardless of how one views his most notable achievement, I have pondered over this question several times. Even though the democratic government under Prime Minister Nawaz Sharif, in my view, is doing all it can to steady the ship, economically, politically, culturally and socially, there were certain events this past year that has convinced me that if Mr. Jinnah of 1947 could travel through time and space and see what has become of his creation, he would most certainly give up the idea of making Pakistan. I will endeavour to explain why through this blog. First of all the question of whether Pakistan’s creation was right or wrong is an exercise in futility because Pakistan is fait accompli, regardless of what one’s conclusions are about it. What is far more important is to understand the historical process which led to the creation of a country envisaged as a homeland for the Muslims of the Indian subcontinent. This historical process has its roots partly in the consciousness of upper classes as well as the rising Indian Muslim bourgeoisie and salaried classes – i.e. to use Hamza Alavi’s term “Salariat” – which feared exclusion from political power at the hands of three times more numerous Hindus in the inevitable post-British democratic India. This gave rise to Muslim nationalism and can, as an idea, be traced all the way back to Sir Syed Ahmad Khan who exhorted his followers not to join Indian National Congress, the main political vehicle of Indian nationalists. The idea of Muslim nationalism was born and brought up in Aligarh Muslim University.It was this idea that led to formation of the All India Muslim League in 1906 and the Muslim demand for separate electorates soon thereafter. However it is equally important to note that Jinnah’s political upbringing had entirely different roots. Having been called to bar in London and from a family of merchants rather than landed elite, Jinnah escaped entirely the trends that were in vogue amongst Aligarh Muslims. A confident young lawyer, who succeeded in the legal practice at a time when the profession was dominated by British and Hindu lawyers, Jinnah had very little practical use for ideas of Muslim exceptionalism at that time. More importantly he saw himself as an Indian first second and last, with the fact that he was a Muslim being entirely incidental and largely confined to his name, which in any event he abbreviated to M A Jinnah. Amongst his closest friends and associates, there were hardly any Muslims in that early period. The few Muslims who did get entry into his circle were like him, incidental Muslims. It is well known that Jinnah followed none of the dietary prohibitions prescribed by his religion. Nevertheless after a dispute with the Aga Khan, owing possibly to his sister Mariam Bai’s marriage outside the Ismaili community, Jinnah had nominally converted to Khoja IthnaAshari Shia Jamaat in 1901. If however he had any religious convictions he kept them absolutely private. Jinnah’s political vehicle of choice was the Indian National Congress, which under the leadership of men like Pherozeshah Mehta, Gopal Krishna Gokhale, DadabhoyNaoroji and Badruddin Tyabji was a nationalist party committed to attainment of self-rule for Indians through constitutional means. When the Muslim League was founded in 1906, Jinnah not only stood apart from it but attacked its leaders as unrepresentative landed reactionaries and willing tools in British policy of divide and rule. Jinnah was also a fervent opponent of separate electorates even after he, as the Congress candidate, defeated the Muslim League candidate in 1910 on a Muslim seat. In 1913 Jinnah also joined the Muslim League at the behest of his Congress mentors with the objective to bring the Muslim League closer to Congress. He did so, remaining a member of the Congress, on the condition that his membership would in no way impinge on his commitment to the Indian nationalist cause to which his life was dedicated. Not only was he able to woo the League away from its stance of unquestioningly loyalty to the crown but in 1916 managed to bring the League and Congress together in what is known in history as the Lucknow Pact. This December marks the 100th anniversary of that important constitutional document that made Hindu Muslim Unity possible, however briefly. For his untiring efforts with respect to bringing Hindus and Muslims together in the struggle for self-rule, Jinnah was hailed as the best ambassador of Hindu Muslim Unity. So how did such a man, whose early politics was marked with a genuine desire to see Hindus and Muslims march together and wrest from the British the reins of government of their common motherland, later turn so vociferously against the same unity? This question has vexed many a student of Indian history and the freedom struggle. Having studied Jinnah’s political career in some detail, I do not think there is any room for the idea that he underwent some kind of transformation in his political ideals. Nor do I accept entirely the supposition that he acted entirely on the Namierian impulse of seeking power, though inevitably some of that did play its part. Jinnah had come to believe very early on that constitutional advance in India depended entirely on Hindus and Muslims coming together and speaking with one voice. This necessitated the idea of a social contract between these two groups and Lucknow Pact further solidified the position that the agreement between these two entities, as the largest culturally informed religious identities, was sine qua non to Indian independence. It was on this premise that Jinnah proceeded from 1916 onwards, and whereas till 1920 Jinnah acted as a Congressman trying to bring League into the nationalist fold, his defeat at the hands of Gandhi on the issue of constitutional methods versus non-cooperation and the issue of Khilafat Movement, which Jinnah opposed, drove him out of the Congress fold. Still he persisted in his goal of achieving that ever elusive social contract between Hindus and Muslims. Increasingly though he realized that he was forced into a position of approaching the Congress as a Muslim partisan rather than an Indian Nationalist trying to build bridges. The idea of Pakistan developed independently of the efforts of people like Jinnah who had approached the issue top down from an all India center. There had been countless schemes to divide India into Hindu majority and Muslim majority areas by Hindus, Muslims and the British (88 by KK Aziz’s count), by the time Allama Iqbal delivered his famous address in Allahabad. By the late 1930s several schemes emerged, including Rahmat Ali’s Pakistan scheme as well as what became known as “the Confederacy of India” by MianKifayet Ali who wrote under the name “A Punjabi”. All of these schemes had one thing in common- they all postulated that the idea of an all India center was a British creation and that India’s diversity called for not one but multiple federations which could then come together as a confederation or a supra-federation of states. An early variant of this had been the Aga Khan’s proposal for a United States of South Asia. The underlying sentiment – on part of the Muslim proponents of these schemes- was for Muslim majority areas to be autonomous (or independent) of a unitary Indian center that would be dominated by the Hindu majority in the subcontinent. For someone who was to ride this sentiment ultimately to the creation of Pakistan, Jinnah curiously was never a Muslim nationalist ideologically. Faisal Devji for example writes that not only did Jinnah consciously not identify with the Muslims but was contemptuous of them. This does not mean of course that he was not sincere about the cause once he took it up. Jinnah was foremost a thinker of sovereignty who believed in representative politics through consensus of the people. By 1938, after being rebuffed by Congress in UP, Jinnah was looking to unite the Muslim community in the subcontinent behind his leadership to bring to fruition that long sought after social contract between the Hindus and Muslims. To do this, he needed a demand that could embody at once the impulse for autonomy in Muslim majority areas and the desire for Muslims in Hindu majority areas to escape their minority status. Pressed by the British to produce an alternative to Congress’ demand for a constituent assembly where Muslims would be a perpetual minority outvoted 3 to 1 at best, Muslim League produced the Lahore Resolution. Was this a bargaining counter? The term “bargaining counter” has been used to reduce Ayesha Jalal’s argument in her book “Sole Spokesman” and consequently much energy has been expended by historians like Venkat Dhulipala to disprove it. Her argument on the contrary was that the demand for a federation in the Muslim majority areas was made in earnest but that what kind of relations such a federation would have with the rest of India was a matter that was the subject of negotiation. Another point was that at the crunch point of that negotiation, Jinnah had climbed down from that demand and accepted something less than Muslim majority federation by accepting the Cabinet Mission Plan. However at no point did Jinnah waver from his goal, which essentially was a contract between Hindus and Muslims to achieve the independence of India. Whether the consideration of the transaction was to be a federation or a confederation or complete separation was a question of negotiation. So what was the role of Islam in Jinnah’s politics post 1937? Jinnah was a secularist by inclination, but as much as he was an admirer of Kemal Ataturk, he recognized that unlike Kemal he had no revolutionary army at his disposal by which to resolve India’s communal problem and drive out the British. He said as much in a speech in 1938 adding that his weapons were logic and reason. More importantly he had the measure of his constituents, the Muslims. Secularism simpliciter would have little appeal to them. Here he deployed what some, like a rising young historian Cambridge Adeel Hussain, have called “Islam almost entirely ontologically emptied”, meaning essentially that meaningful structures behind Islam as a signifier were entirely rewired, a shell to produce progress and change. It was to be a vehicle for advancement of the Muslim community in a positive sense. 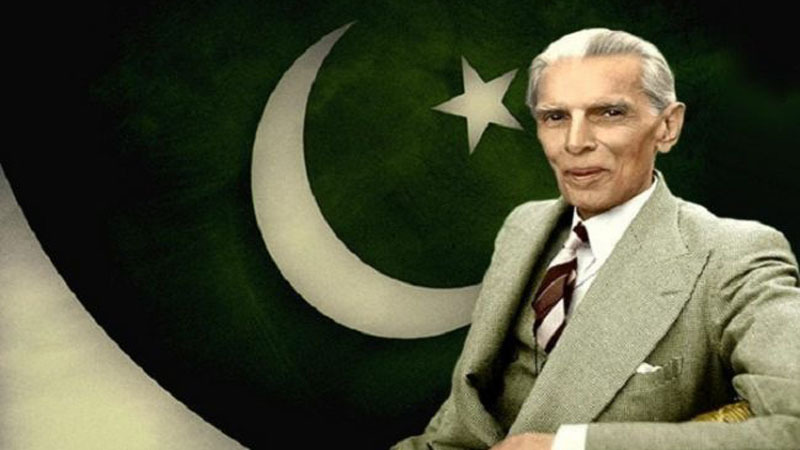 Jinnah the politician thus referred to Islam and its structures in that sense while simultaneously Jinnah the constitutional lawyer made sure that any reference to Islamic principles or to theological issues was skillfully omitted from any official resolutions or documents of the Muslim League. There were several attempts, most notably in 1943 at the Delhi session to commit the Muslim League to an Islamic polity based on Quran and Sunnah which Jinnah vetoed. The second thing Jinnah was extremely careful about was keeping theological arguments out of the question of who is a Muslim. To him Ahmadis were Muslims because they professed to be Muslim. Again several attempts were made to influence him both by Congress backed Majlis-e-Ahrar and people within the Muslim League but he steadfastly refused to turn Ahmadis out of the League on grounds of a theological disagreement. Indeed the one man Jinnah came to rely on in his career was Zafrullah Khan, an Ahmadi. Not only did Zafrullah Khan go on to represent Pakistan’s case before the boundary commission but he was Jinnah’s choice for a foreign minister. The state that Jinnah had in mind was to have the same kind of relationship with Islam that modern Britain had with the Anglican Church. That the British model (of the relationship between religion and state) weighed heavily on his mind is obvious from his 11 August speech. Those who claim that secularists and liberals only refer to two lines from this speech haven’t bothered to read the whole speech which delves into Protestant and Catholic conflict in Britain before making the case for an inclusive and democratic Pakistan where Hindus would cease to be Hindus and Muslims would cease to be Muslims, not in a religious sense, but in a political sense. It is in the light of the British model that one must examine Jinnah’s apparently contradictory statements. A Muslim majority democratic state was by its character already a Muslim country, just as Britain was an Anglican country and India was, by virtue of its Hindu majority, a Hindu country. There was no need to translate its Islamic character into a binding constitutional document. Pakistan was to be a Muslim majority mirror state of India, with minorities as equal citizens of the state. This is why Jinnah had chosen scheduled caste Hindu leader Jogendranath Mandal to represent Muslims in the interim government shortly before partition as well as to preside over the first session of Pakistan’s constituent assembly. Mandal then became Pakistan’s first law minister at Jinnah’s request. Again the implication was clear. Pakistan of Jinnah’s conception was to have no bars against Non-Muslims from seeking the important offices of the state. Against this background it is easy enough to see why Jinnah might want to dissociate himself from the state he created. Part of it had become apparent to him in his lifetime as he is reported to have called the creation of Pakistan the biggest blunder of his life. If Jinnah had hoped for a social contract between Hindus and Muslims, leading to perpetual peace, it was shattered with the bloodletting that the two communities engaged in at the time of partition. Contrary to his vision of a South Asia where Pakistan and India would have a relationship like the US and Canada, the two countries have engaged in a nuclear arms race. The communal issue that Jinnah sought to resolve has now metamorphosed into an international conflict. Nor has his vision of an inclusive state, impartial to personal of an individual citizen, been realized. His colleagues in the Muslim League, themselves Muslim modernists, made the first crucial mistake by passing the Objectives Resolution. By referring directly to Quran and Sunnah, they ensured the interpreters of the future constitution would not be them, the lawyers and politicians, but the ulema. Inevitably a Pakistan based on Objectives Resolution would be a theocracy, notwithstanding the intentions of its authors. In 1971 Pakistan lost its more secular minded East Pakistani majority and with it its raison d etre as a Muslim homeland. The terminology of Muslim homeland was replaced by the terminology of an ideological Islamic state. By 1973, when Zulfikar Ali Bhutto, again a modernist, had gotten MaulanaMaududi to vet the new constitution, the Ulema and forces of religious orthodoxy, most of whom had been trenchant opponents of Jinnah in the 1940s, were finally ascendant in Pakistan. The embarrassing pronouncements of the Council of Islamic Ideology are a constant reminder of that. In 1974, Pakistan’s National Assembly undermined Jinnah’s idea of the right to self-identify and inclusive citizenship by declaring Ahmadis Non-Muslims, severely limiting that community’s right to religious freedom. The logical conclusion of that was on display recently in Chakwal when an Ahmadi place of worship (for since 1984 they are not allowed by law to call their places of worship mosques) was ransacked by a crazed mob. The situation is equally bad for Non-Muslim minorities like Hindus and Christians, whose numbers have steadily dwindled in Pakistan. Pakistan has become a badly majoritarian state that is routinely on the list of worst offenders of religious and individual freedoms. Far from being equal citizens that Jinnah imagined them to be, Non-Muslim Pakistanis are at best second class citizens barred from holding the highest offices in the land and systematically marginalized from the economic and political life of the country. Socially they face forced conversions and blasphemy charges, often to deprive them of their life, property and religious beliefs, the three things the preservation of which Jinnah termed as the foremost responsibility of a civilized government. It is true that some Muslims, amongst those officially recognized as Muslims, have done well in Pakistan but even there the situation is far from exemplary. Jinnah had imagined that Pakistan would afford Muslims the opportunity to excel in science, economics and other fields. Yet in these fields, over all, the performance of Pakistan and especially its Muslims has been woeful. In 70 years, the world’s second largest Muslim majority state, has produced just one Nobel Prize in science and that recipient too has been forcibly declared Non-Muslim. Jinnah the politician wanted Pakistan to be a democratic state where civilians, and not the military, would rule through consensus of the people. Close to half of Pakistan’s life as a nation has been under military rule. Even in the remaining half, military has ruled from behind the scenes with the help of an unelected bureaucracy. This is not even close to the high hopes Jinnah had for this country. It is easier to create a country but harder to preserve it, or so said Jinnah’s spirit in an officially sanctioned séance in the 1950s. That sadly has turned out to be true enough in our case.